Last week I had the urge to use some white ink on black paper, which has evolved into the card I'm sharing with you today. This time I stamped in Whisper White Craft ink onto Basic Gray cardstock. I then followed the same steps as before before adding colour with the Pacific Point and Old Olive watercolour pencils. I pulled the colour out towards and blending into the white, adding stronger darks with small pencil lines where necessary (mainly around the centre of the flower and leaf stems. 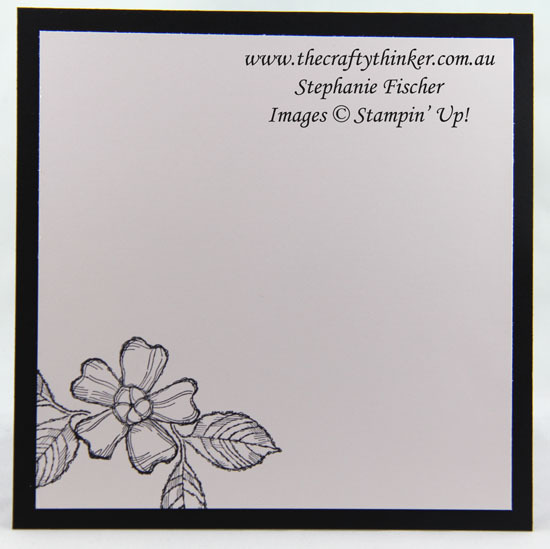 The greeting is from the Blooms & Wishes stamp set and I have heat embossed it in white to make it stand out. The black card is layered with a sheet from the Urban Underground pack (my favourite at present! ), some Whisper White and some Silver Foil Sheet (which looks grey in the photo!). 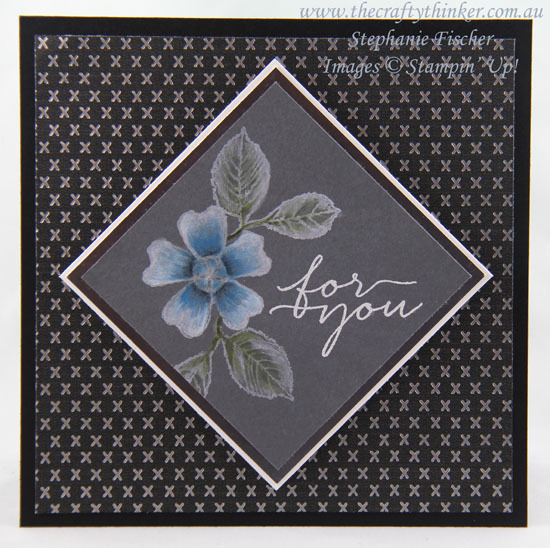 I kept the inside of the card simple again, just stamping the flower and leaves in the corner with Basic Black ink.